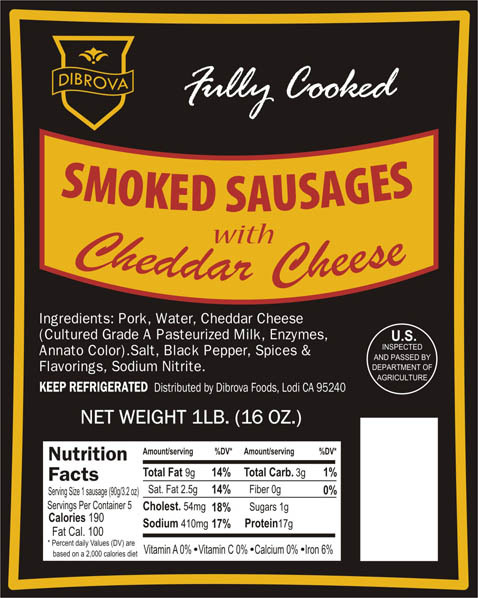 A smoky pork sausage with cheddar cheese. Exceptionally good when baked in the oven for a quick and easy dinner – 20 minutes and you’ll have a slightly crispy sausage with flecks of golden cheddar cheese. Tender, mild and flavorful. A favorite with kids and adults both! No msg, gluten-free.